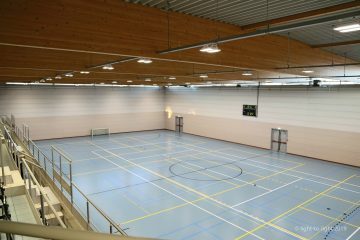 The new LED lighting in the large sports hall sets a new record for energy efficiency with a specific installed power of only 0.8W/m2/100 lux! This is a reduction by a factor of 3.75 times less than the old T5 fluorescent tube lighting where more than 3W/m2/100 lux was required. 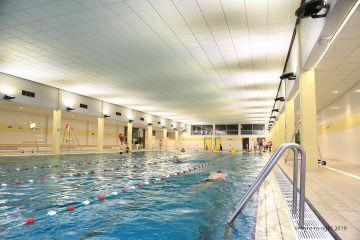 New LED lighting for the swimming pool in Vilvoorde where sustainable light meets the pleasure of bathers. Results: improvement of the lighting atmosphere and visual comfort, 50% energy savings and 10 tons less CO2 per year for the planet! This relighting project has greatly improved the quality of the lighting.